As your doctor suggested, you're eating a healthy diet to help get your blood cholesterol numbers down. While you might enjoy eating more fruits, vegetables and grains, you want to eat a little meat and fish, too. Dietary cholesterol is only found in animal foods, and if you have high cholesterol, you need to limit your daily intake to less than 200 milligrams a day. 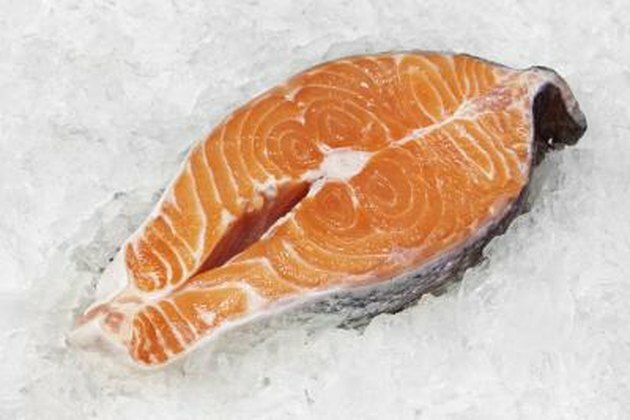 Having a list of low-cholesterol meats and fish to choose from can help add a little more variety to your healthy diet. You might think beef is completely out of the question when you have to follow a low-cholesterol diet, but there are a number of cuts that can fit your meal plan. 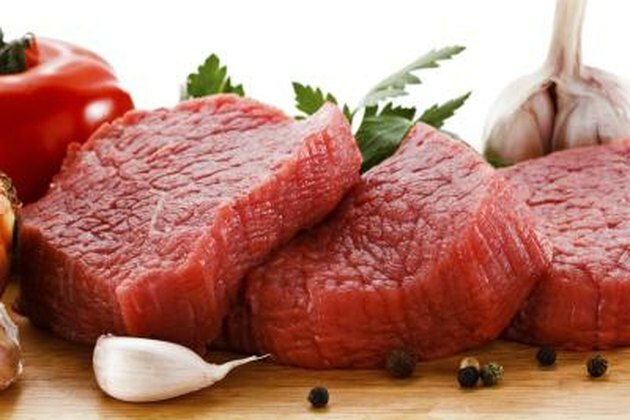 Beef eye of round makes for a low-cholesterol choice with 58 milligrams in a 3.5-ounce uncooked serving. An even better choice is a a top loin with 40 milligrams in the same serving size. If you're hankering for a hamburger, make it with lean ground meat, which has 78 milligrams of cholesterol in a 3.5-ounce serving. 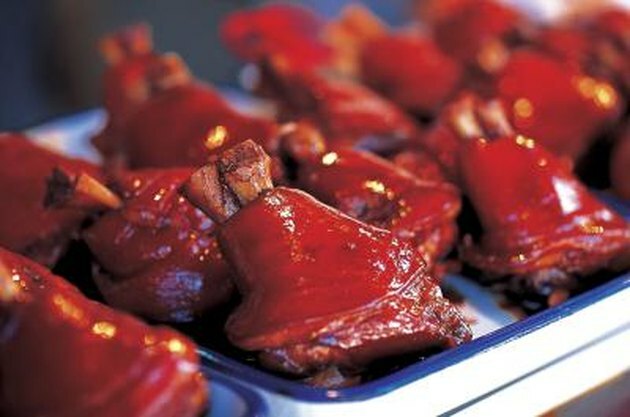 Pork also has its share of low-cholesterol meat choices. Although it's high in sodium, ham is a lean cut of meat. Depending on the type of ham you choose, the amount of cholesterol in a 3.5-ounce portion ranges from 38 to 53 milligrams. Pork tenderloin is also a low-cholesterol choice, with 48 milligrams in a 3.5-ounce uncooked serving. You can also enjoy boneless pork chops with 47 milligrams of cholesterol in the same serving size. 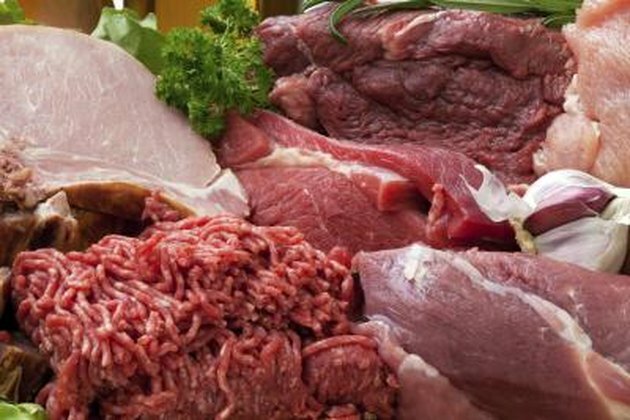 If you're a bit of an adventurous eater or just want to try different types of low-cholesterol meat, some game meats might fit your meal plan. Water buffalo is as lean as your pork choices, with 46 milligrams of cholesterol in a 3.5-ounce uncooked portio. 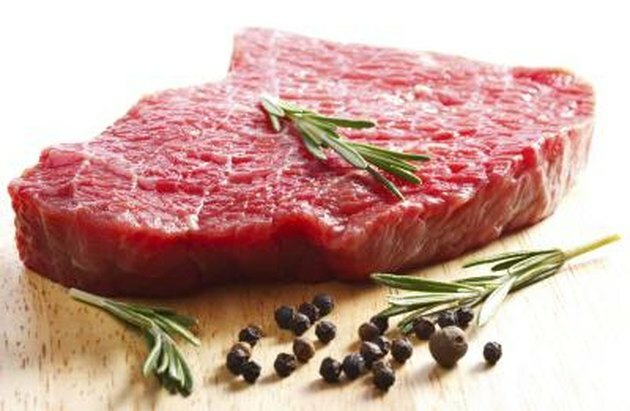 Beefalo, which is a cross-breed of cattle and bison, is also low with 44 milligrams in the same serving size. When trying to lower your cholesterol, fish as a source of protein makes for a healthy choice, according to the National Heart, Lung and Blood Institute. Canned tuna packed in oil is low in cholesterol, with 13 to 18 milligrams per 3.5-ounce serving. Cooked monkfish and smoked Chinook salmon are also low-cholesterol fish choices with 32 and 23 milligrams, respectively, per 3.5-ounce serving. Shrimp may be a no-no on your low-cholesterol diet, but there other types of shellfish you can include. Scallops have 24 milligrams of cholesterol in a 3.5-ounce raw serving, and farmed and wild oysters have 25 and 40 milligrams, respectively. 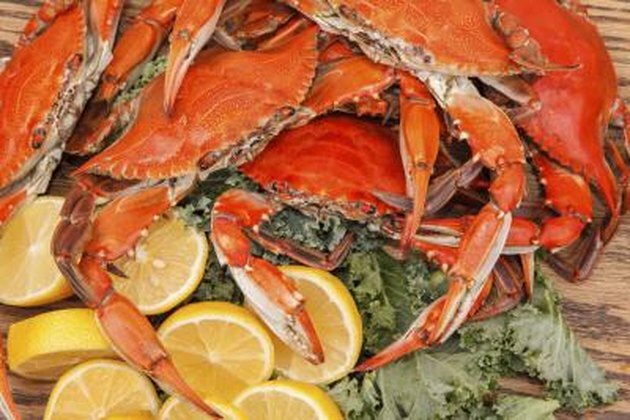 If you enjoy crab, Alaskan king crab has only 42 milligrams per 3.5 ounces.